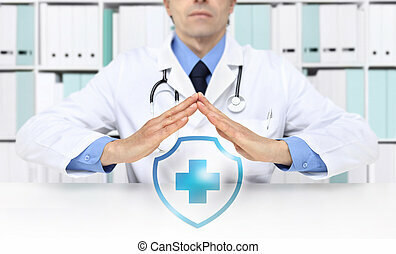 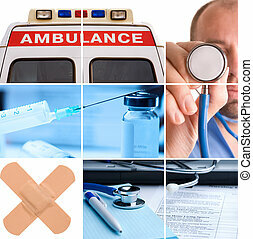 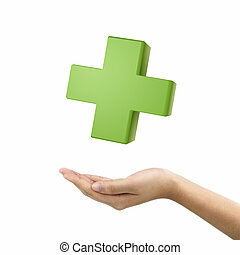 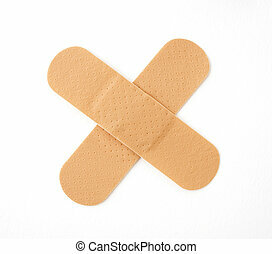 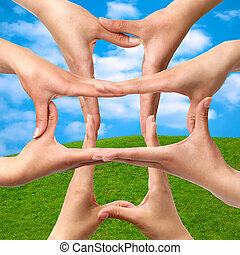 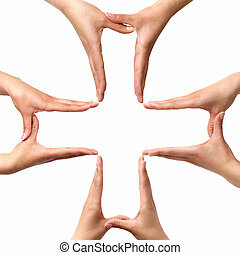 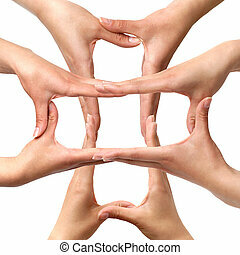 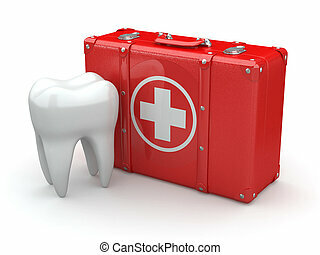 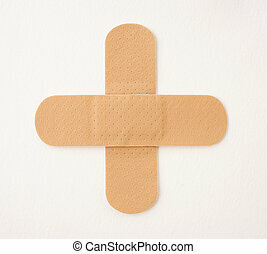 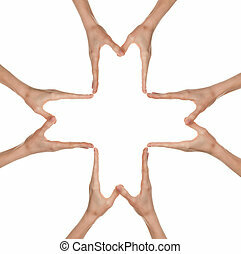 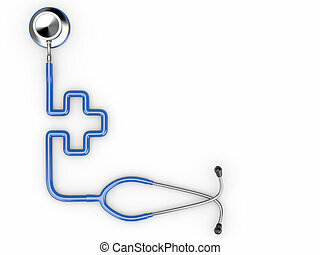 Big medical cross symbol from hands isolated. 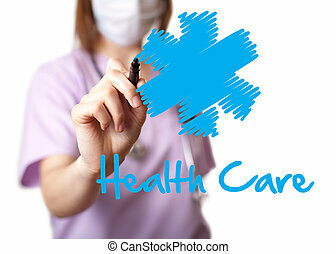 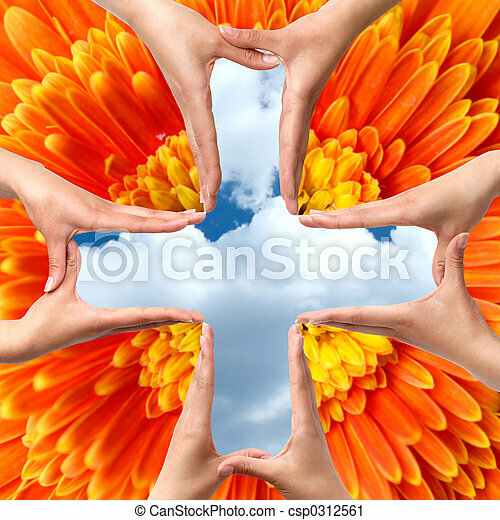 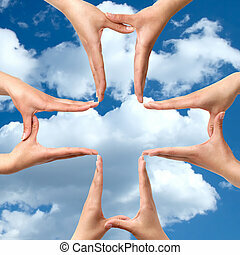 Female hands showing big medical cross symbol concept blue cloudy sky orange daisy flower background. 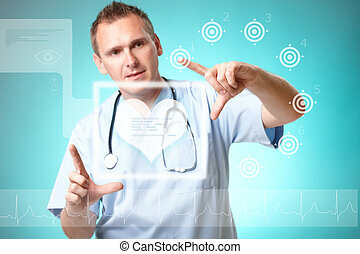 Medicine doctor working with futuristic interface, he chooses heart symbol to do cardiac test for his patient. 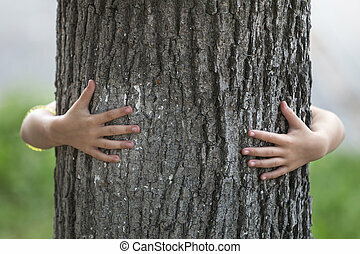 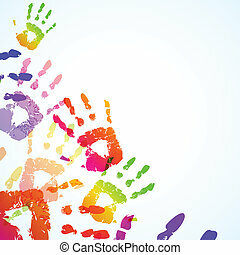 Close-up detail of isolated growing big strong tree trunk embraced from behind by small white child hands on blurred background. 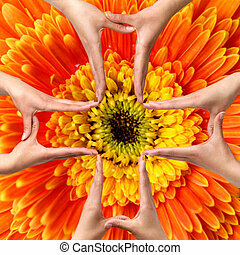 Love to nature, care for future and environment protection concept.